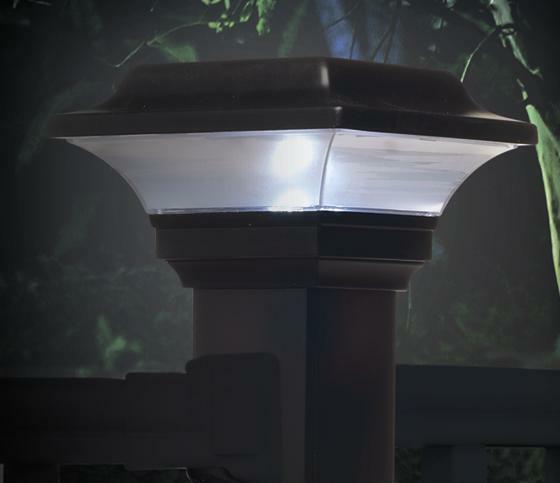 Adding lighting to your deck, patio or porch without running electricity is easy with these 2 Imperial solar post cap lights. 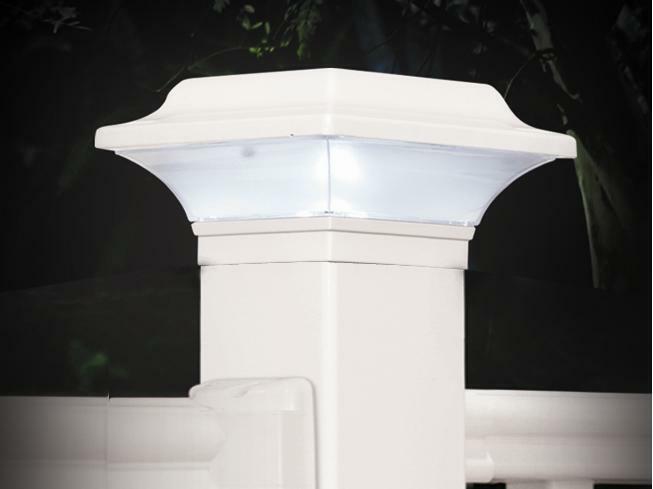 Designed to last for years, made of rugged cast aluminum with powder-coated black or white finish. 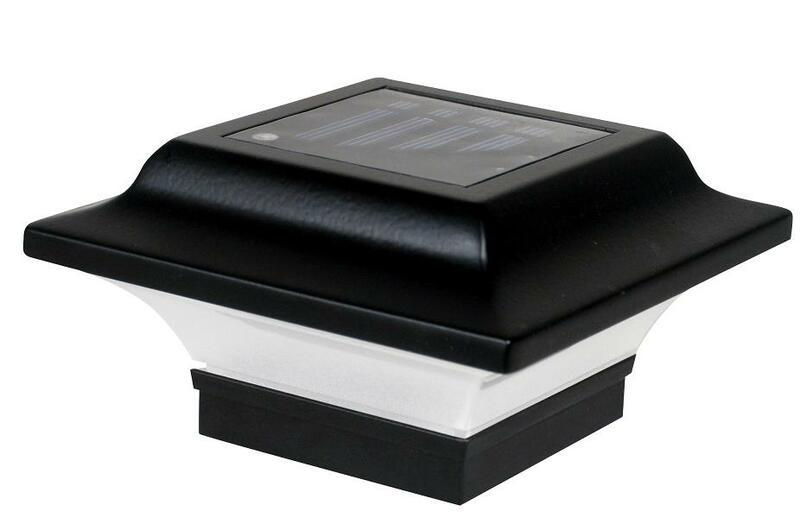 Equipped with 2 white LED’s and 1 AA Ni- MH rechargeable battery, providing a bight light for up to 8 hours at night. 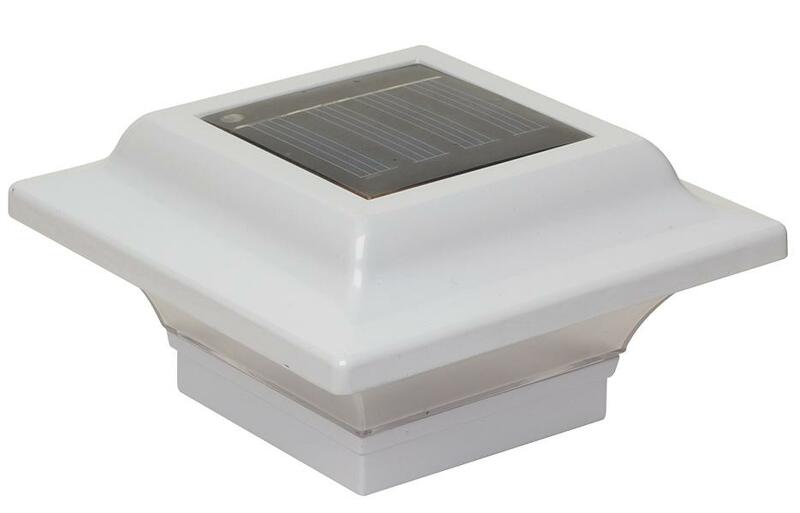 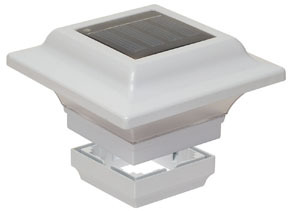 These solar post cap lights are designed for use with steel or aluminum posts, includes a 2.25”x2.25” and 2”x2” adapter.